Learn about the various differing types of storage solutions available for your kitchen and how to plan your kitchen for optimal storage space. Get some ideas and find our about techniques that can help improve the storage space and efficiency of your kitchen. In years gone by, kitchen storage solutions and general storage space in the home was not such a big consideration in the construction of homes, therefore many UK homes built prior to the 90’s have very little in the way of built-in storage. Traditionally in the kitchen you would have had a larder or pantry to store your food, a sink area for washing up/food preparation and then a few kitchen cupboards for your pans and cooking implements. Features such as these were all well and good back in the day, but today a typical kitchen features so much more stuff such as cookers, fridges or fridge freezers, washing machines, dishwashers, kitchen floor units, wall units and umpteen other appliances and cooking aids. Where a nice pantry was ideal and provided more than enough space before the all of these white goods entered our lives, if you have ever lived in a house that has one you will probably realise that they now just take up valuable space. In terms of todays offerings, despite the fact that todays kitchens are designed with more storage in mind, mass produced units and cupboards never cover the storage needs of all, they really just cover the storage of basic, everyday items. So, unless you have a substantial budget to pay for a bespoke kitchen to be build specifically to cover all of your needs and requirements, you just have to make the best of what you have. With the above in mind, fear not, there are many clever things you can do to adapt otherwise less than ideal storage space such as corner cupboards to really make the best of the available space they offer. In this DIY guide we take a look at some of the ideas that can be employed in a standard kitchen area to make the best of any available space, plus what different kitchen designs and layouts there are. In order to cover all the bases, we will start from scratch. By this we mean the scenario that you are renovating a kitchen and have a blank canvas to start from in terms of how your kitchen is going to be designed. This is obviously the best case scenario. 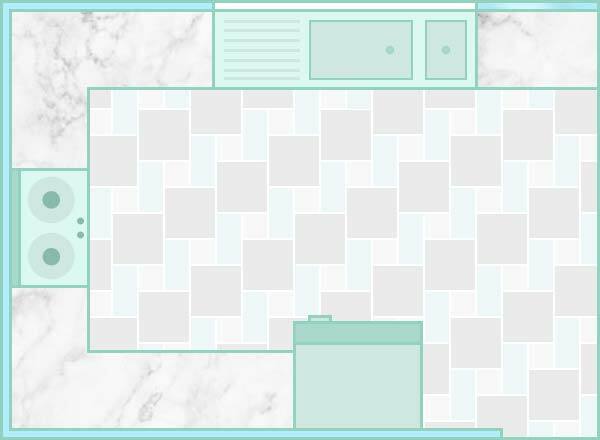 Ultimately, the layout you opt for will be pretty much dictated to you by the size and shape of the actual kitchen space you are working with. As you may have guessed from the name, this type of kitchen roughly resembles the type found on a ship. 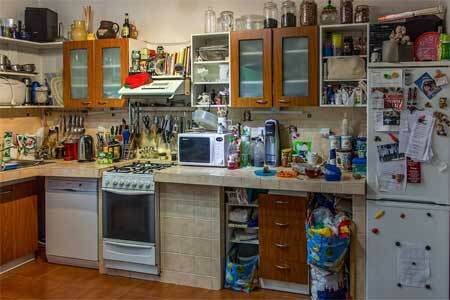 Normally, a kitchen is referred to as a galley when it is quite small or tight on space. This particular design can either be a single row against one wall or if space allows, two rows parallel to each other. Again as you may have guessed, this design type is a great solution for small spaces as you can really make the best use of the space available. Although great for small spaces, this isn’t all this particular design can be used for. It also translates over to larger spaces very well, where an island can also be incorporated between the two rows of units. A few points to be aware of though – make sure that the design you go for allows enough space for you to open any cupboard doors without them clattering into eachother. Also, if you can, avoid putting too much stuff on the walls as in a tight space, tall cabinets or lots of wall units can make the space seem cramped and give you the sense that the room is creeping in on you making it feel claustrophobic. The U-shape layout is most commonly found in more modern properties e.g. mid 80’s to present. In most kitchens featuring this arrangement, worktops and units flow around three walls to form a U-shape, hence the name. This type of layout lends itself to a variety of different potential layouts in terms of where appliances and storage can be placed and is arguably the most efficient space to work in due to pretty much everything being close to hand. It also provides a huge amount of work surface that can be utilized and in smaller layouts, can often make the space feel a fair bit bigger than it actually is. 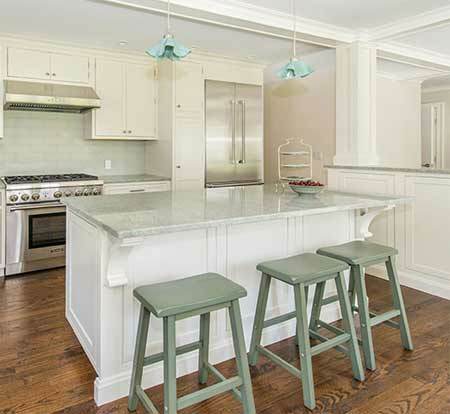 In large kitchens, this layout also lends itself very well to featuring an island or possible even a large table. One issue that has always plagued any layout with right angles is the corner cupboard. Fortunately, due to the scale and number of people that face this issue, many clever companies and individuals have invented solutions to make the best of these awkward spaces e.g. the carousel. As with the galley layout, how effective this particular layout will be depends on the space that you have to play with. 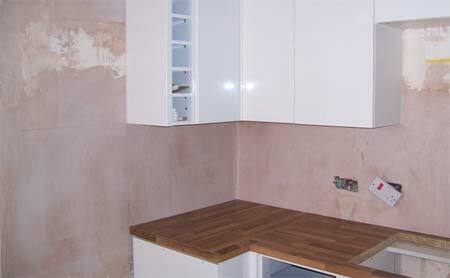 If you can get some lengthy worktops in there, e.g. 2.5 – 3 metres in length then this will give plenty of space for at least one person to work in or even two. In all honesty, any less space and you will struggle to fit two bodies in there and will in all likelihood end up getting in each others way. 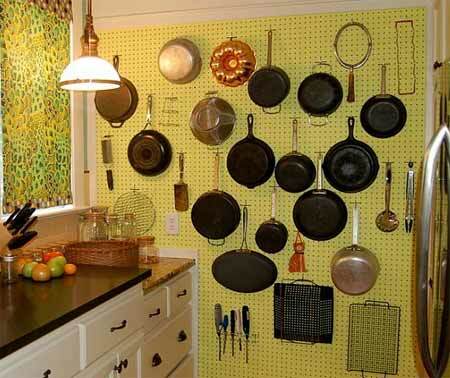 As with the galley, you will also end up with an empty wall that you may find hard to utilise. Again, there are many clever innovations out there that can help you make the best of these situations including wall mounted shelving and cupboards, free standing shelves, racking etc. We have briefly touched on this above. Essentially, the island is a standalone unit that sits independently of the rest of the units and workspaces in the kitchen. This idea itself has really only emerged in recent times, but if the space allows, they can be incredibly useful. The great thing about them is, firstly, they make great use of otherwise dead space and secondly, they can be totally multifunction as you can feature almost any item or appliance you want. For example, you could have just a work surface, or you could have a sink, cooker and hob, fridge, dishwasher the list goes on. They are also great in the fact that you can access all sides so if large enough, you can have one person working per side. Additionally, as 360° access is available, you can incorporate a huge amount of varied storage e.g. cupboards, shelves, plate racks etc. 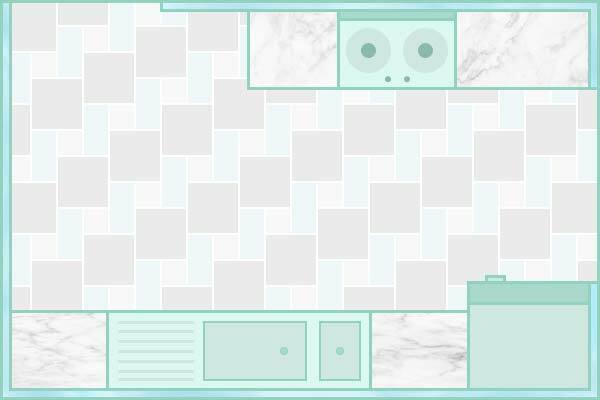 As we are working with the scenario that we are starting our kitchen from scratch, this is the time to plan how you are going to make the best of the space you have in terms of how you are going to use the and what storage requirements you have. With this in mind, the type and volume of storage will very much depend on how you will be using it. For example if you like to cook a lot, you will likely need storage for plenty of ingredients, if you have a large family, you’re going to need storage for lots of different foods, do you prefer a modern, minimal look e.g. would like concealed storage. Any of the above solutions should help you to design a kitchen to fulfill all of your needs. One point to note is that during the consultation stages where you will be relaying your requirements to the person assisting you, make sure you are specific in your needs if you have them. At the end of the day, if you don’t ask, you won’t get! Of course, you could do it all yourself if you fancy a challenge. If you do fancy going down this route, then it’s a good idea to use one of the software packages mentioned above to plan everything out first. This will also allow you to change the layout around until you end up with something that covers all bases. Where do I Start Placing Cabinets When Planning a Kitchen? Ultimately it is at the initial design stage that you should consider what kitchen storage you will require as this could bear a heavy influence on the final design and layout of your kitchen. Consider the different types and methods of kitchen storage available and decide on whether you are going to use them all in different applications and in different areas or whether you are going to stick to one or a few and use them in differing variations e.g. just kitchen units, units and cupboards etc. In terms of cabinets and cupboards, layout should always begin in a corner of your room, so pick a corner to start from and work outwards from there. When it comes to cabinets and cupboards, if you’re having a bespoke kitchen built then within reason, you can have pretty much any size constructed (as long as a worktop will fit correctly if you’re using one). If you are going with an off the shelf type kitchen then you still have a good choice of styles such as standard units, half units, diagonal units, corner units etc. When it comes to sizes, most standard units are 600mm in width, but carcasses can come in 300, 400, 500, 800 and 1000mm widths. As for heights, these can vary slightly, but in general, most work tops are set at around 910mm in height, so units tend to be around this, but as many come with adjustable legs (to raise, lower and level a unit) heights are mainly set using these. One final point to note is that for diagonal and L-shaped corner cabinets you must allow 900mm on both elevations. 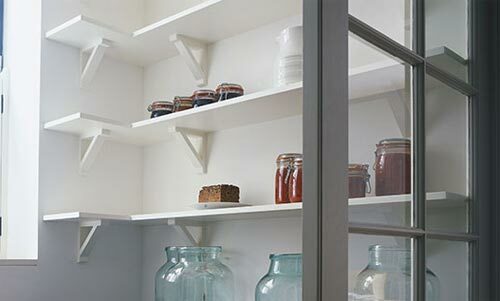 Conventional corner storage cabinets are fitted to the elevation of your choice and extend 570mm from the chosen wall. As standard size worktops are around 560mm – 600mm deep, the door size you choose will ensure that the cabinet fitted is relevant to the worktop depth. Therefore a left-hand corner base unit with a 400mm door will extend 1000mm or beyond (Dependent on the corner fillet size required), from the corner to its outer gable. A 500mm door will extend 1100mm or beyond from the corner, a 600mm door will extend 1200mm or beyond from the corner and so on. 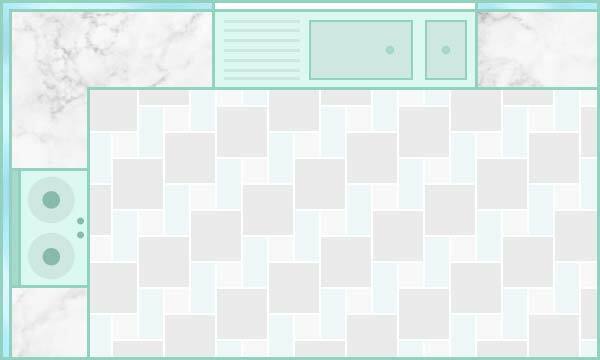 If you are using design software it should automatically configure distances for corner cabinets yet the above details are relevant if you are one of the increasing number of people who have decided to install their own kitchen. Wall mounted units and cupboards are also available in pretty much the same sizes, although they are normally around 300 – 400mm deep as opposed to the 560 – 600mm in depth. You may have noted that we have not been fully precise in detailing the distance that a corner unit should be sited from the adjacent wall and there is good reason for this. 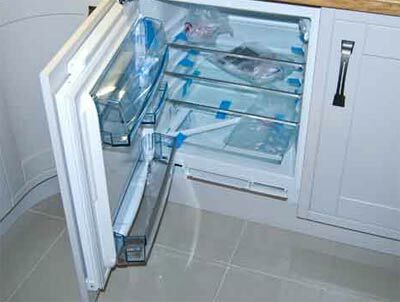 The result of fitting a standard corner fillet may mean that the corner cabinet drawers will not open fully due to the opposite cabinets handle infringing on an adjacent drawer. This can be compensated for by the construction of a wider corner fillet that allows full extension of the drawer, but this need to be considered in the planning stage. If you are employing a 3rd party or other service to plan your kitchen for you, then their time-served experience should have most of the following points already in the bag, but if you’re doing tis yourself, there may be a few tings that you haven’t though of yet. With this in mind, here’s a few tips and points to consider. Generally speaking, if you ensure that you have covered the points then you will pretty much end up with a good, efficient kitchen space that will accommodate all of your needs and storage requirements. What if I’m not Planning a Kitchen From Scratch? In the scenario above, we looked at the points to think about when fitting a kitchen from scratch, but what if you’re not doing this. Is there anything you can do to improve the storage and usability of an existing kitchen? Thankfully yes there is. Changing kitchens is an expensive job and financially out of reach of a lot of people, but there are plenty of clever innovative products and ideas out there to help you make the best of an existing kitchen space. The cupboards and drawers in your kitchen are pretty much the backbone of your kitchen as a whole. 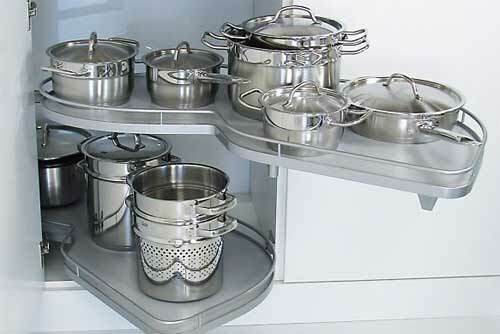 They are used to store all of your food, plates, crockery and pans, support your work surfaces and keep everything tidy and organized. Getting these correct in terms of what you store where so everything is easily accessible organized is essential as if you are having to move boxes of cereal to get to any canned goods, this is both irritating and time consuming. Therefore, if you can dedicate individual cupboards and storage areas to specific items e.g pans and lids in one drawer, canned goods and jars in one cupboard, bulky items such as boxes and crisp bags in another then the general flow of your kitchen will work much better. Once you have each of your storage areas segmented for specific items you can then get a little more granular with your storage solutions. This is more of an aesthetic than any kind of solution to storage and efficiency but it can in a way help a great deal. We all know that disorganization and chaos can make something appear to be disorganized even if it isn’t, so if you have several kitchen floor units mixed in with a washing machine, cooker, fridge etc then the lack of continuity can appear untidy. However, if you can integrate or hide all of your appliances behind cupboards or disguise them using the same doors as you have on your units, then the seamless effect can make your kitchen area appear uniform and organized. Okay, yes you’re right, it’s not really a storage solution, but it can aid in the creation of an ordered and efficient environment, which is essentially what good storage is all about. We did touch on this point very briefly above – a dimly lit kitchen can make the space feel very tight and claustrophobic and if the space itself feels tight then even the smallest amount of stuff stacked anywhere will make it feel very cluttered. 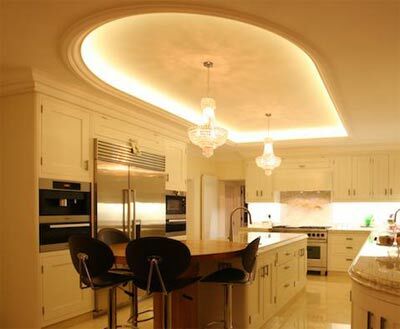 If possible, use lighting effectively to create a bright, well lit and airy space as this will really help in making the area feel bigger than it actually is. In terms of how to achieve this, there are many differing solutions, but it will depend on the type of kitchen you have and the construction of your property in terms of which will work best. One other method of making a kitchen, or indeed, any other room for that matter look and feel a lot less cluttered is to actually reduce the clutter in that room. Instead of trying to find and create storage space to store stuff, ask yourself the question; Do you actually need all of this? If you have a cupboard or drawer in your kitchen that’s dedicated to putting stuff that has no where else to go, go through it and be a little ruthless. If you haven’t used any of the items in there for 6 months, do you really need them? One final, very versatile storage option if you have a spare wall or area that they can be placed is a pegboard or old louvre door. 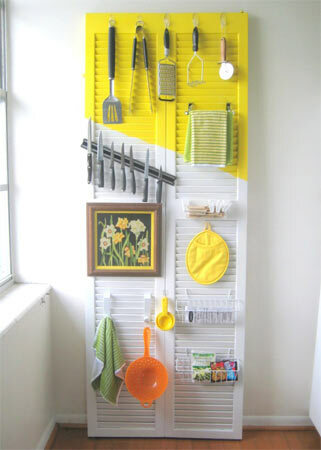 As I’m sure you can imagine, with a pegboard you have a huge amount of storage options and can store a vast range of different items as you can place pegs anywhere on the board to accommodate what you have to store. Louvre doors are another great idea. Due to the way in which they are constructed using slats, you can purchase hooks that will hang over the slats that you can then hang items on. 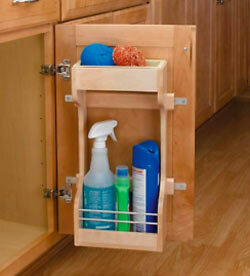 The hooks can also easily slide along the slats so that objects can be moved in order to fit other items in. Kitchen storage solutions can vary greatly and the ones that you can use in your home to the greatest effect may be set by the particular size and design of your kitchen, that said, if you are planning on installing a kitchen from scratch, you certainly need to think about all the items that will be stored to ensure that you are not left lacking when it’s all fitted and finished.